Do you recognize any of the people in this image? Black and white negative showing the bowling team at Ontario Hospital. They have received an award. All members of the team are unidentified. 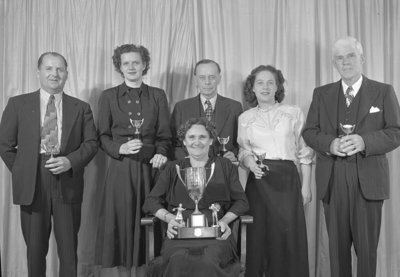 Ontario Hospital Bowling Team, 1948, Marjorie Ruddy. Whitby Archives, 13-001-328.